Camp passes are included in our packaged prices. We book these passes on your behalf. Please note if you are a New Zealand resident choose New Zealand Resident, if you are a International Visitor choose International Visitor. From Oct 2018 the Department of Conservation have introduced differential pricing for camping and huts. User fees are an important contribution towards providing outstanding experiences on the Abel Tasman Coastal track. Being one of New Zealand's most popular Great Walks these vital contributions ensure the Abel Tasman remains one of the worlds iconic destinations for future generations. For more detailed on the pricing structure please see the Department of Conservation's website. Important note: It is your responsibility to book the pass correctly as outlined in the table above. All camping passes are checked by Department of Conservation rangers each night on your trip in the national park. 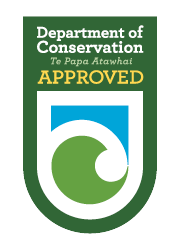 If you select NZ resident and you are not a NZ resident you will be liable for any fines and additional charges from the Department of Conservation.